Police in Nashville are looking for the operator of a four-wheeler who struck a sergeant and took off from the scene. NASHVILLE, TN — Police in Nashville are looking for the operator of a four-wheeler who struck a sergeant and took off from the scene. Video shows dozens of motorcycles and ATVs driving recklessly down a busy street on Saturday at 3 p.m.
One of the ATVs hit Special Events Sergeant John Bourque, injuring him. 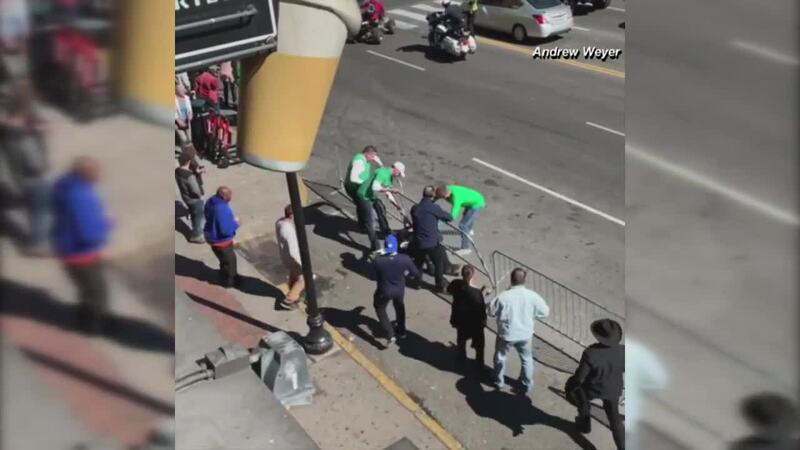 Footage shows him being dragged before being thrown off into a metal barricade fence. Anyone who recognizes the driver is asked to call Crime Stoppers at 615-742-7463.